One primary key to operating a successful business is to maximize profits while minimizing risk. Of course, to even become successful will require an assumption of some necessary risk. It is the unnecessary risk that can hinder even the best of firms. Thorough risk management is something that often goes overlooked. If your company is not conducting a regular audit to ensure risk minimization, then you might be hindering your ability to maximize profit. A risk management analysis is an excellent way to uncover all of the little pitfalls that often go overlooked during the pursuit of profit. It can reveal potential issues that may steer your company into trouble and give you the information you need to hedge against unnecessary risk. What Does a Risk Management Analysis Accomplish? Risk management analysis requires an assessment of various parts of your company’s operations by an objective third party. The ultimate goal will be to identify areas that could lead to bankruptcy, violation of legal responsibilities, image or product degradation, or potentially lower profits. Accomplishing these goals requires analysis of both the tangible and intangible aspects of potential areas of risk in your company. On the tangible end, review of financial statements, balance sheets, contract agreements, insurance policies, etc. will lead to the discovery of information that could reduce unnecessary overhead. Analysts will assess areas that may affect the cash-flow cycle, such as production loss potential. They will also identify potential holes in financial and insurance arrangements, such as not having enough workers’ compensation built into a policy to cover an injury. Firms can use information discovered as part of this hard-data analysis to increase favorable ratios. Maybe your firm’s mix of current vs. fixed assets has become a little too unbalanced, causing costs per unit and profit margins to suffer. Perhaps, loan terms with your bank do not favor the seasonality of your business, putting a squeeze on cash-flow at times when revenues are low. Risk management analysis allows impartial expertise to review all of the tangible aspects of a firm to identify potential areas of improvement. A good risk management study does not end with data analysis. Some risk management firms have a tendency to get lost in the metrics and ratios. While these are important, firms are not of spreadsheets and cash-flow statements alone. The intangible aspects of a firm, such as its people and work environment, are what allow it to achieve its highest potential. However, risk stemming from intangible factors is often hard to quantify. Maybe the success of your last few products can be traced back to one all-star engineer. Would your business be able to withstand the loss of such an employee? It may be that you need some key-man policies built into your insurance to hedge against this risk. Here again, a thorough risk management study will be able to provide the adept manager with information needed to identify then build strategies to eliminate unnecessary risk. A risk management analysis will make clear what steps need to be taken to minimize risk so that your firm can focus on what it does well. Things like high employee turnover rates can be addressed by overriding the existing conditions that led to dissatisfaction. Or, it may be that you have to turn your attention to bolstering your public image. Once you identify potential risks, it is easier to figure out how to stop the bleeding. The information and insights gained through this process can be crucial to the strategic planning efforts that all firms must undertake. Armed with these insights, the smart manager can put his firm into a position that makes it attractive to investors, employees, and even potential buyers. Who Needs a Risk Management Analysis? The truth is that just about any company operating should have a risk management analysis done on a yearly basis. At a minimum, experts recommend conducting this analysis before entering the strategic planning process. It is the only way to make sure that there are no vulnerable areas in your business’s operations. A risk management analysis is the best way to address any potential risks to your assets. If you have never had one done, there is a likelihood that you are leaving yourself vulnerable to needless loss. Additionally, if you are looking to attract investors for new projects, rearrange borrowing terms, or set your company up for potential acquisition, then risk management needs to be an essential part of your process. The modern business cycle is very complex, and there are a number of pitfalls that can bring down even the best of firms. Your company may be great at producing state-of-the-art products or providing excellent services. You do not have the time, however, to identify accounting practices that may be hurting profits, or unnecessarily high premiums in your insurance policy, or legal covenants that could put you in bad standing with creditors, and so on. 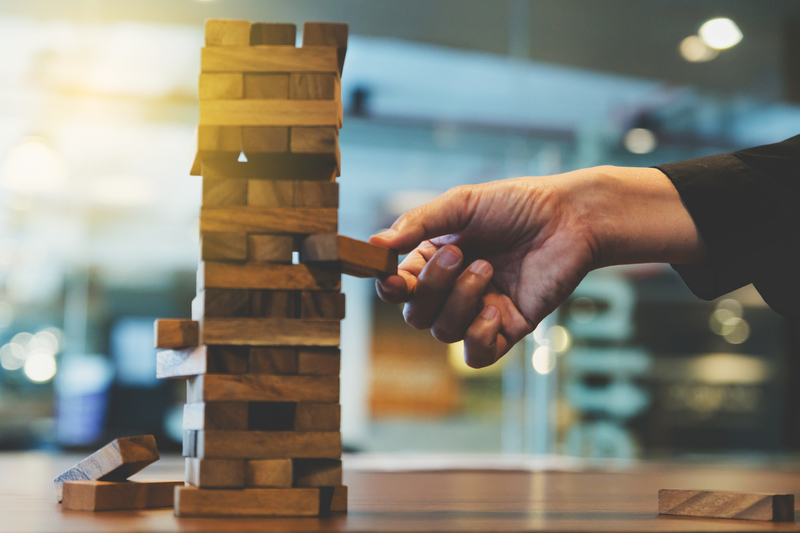 A risk management analysis helps identify potential pitfalls in these secondary and tertiary areas of business so that you and your advisers can exercise your best options. This can lead to more agreeable lending terms, reduced overhead, and better-looking financials. If you would like to learn more about how a risk management analysis can benefit your firm, call the professionals at Diligentiam. Our experts will discuss with you how to uncover this useful information.